The course runs from Monday to Friday, commencing at 9.00am and finishing by 4.30pm on most days. On Wednesday and Friday there will be an earlier finish (by around 3.30pm). The course venue is Boulevard Centre at 99 The Boulevard, Floreat (in Perth, WA). The Audiometric Officer Course provides best practice, comprehensive training in the audiometric skills and knowledge required to conduct hearing assessments according to the requirements of WorkCover WA – the Western Australian government compensation authority. The primary aim of the course is to prepare students for their application to obtain the qualification of Approved Audiometric Officer (AAO) with WorkCover WA. While conducting a hearing test can be seen as simply “pressing a few buttons” there is far more involved in completing the task accurately and according to best practice. Our aim in this course is to produce “thinking” graduates who have the confidence and ability to consistently obtain accurate results and make correct decisions in routine and challenging testing situations. The Audiometric Officer Course is taught to small-medium sized groups. This allows our teachers to provide one-on-one, hands-on practical tuition and individually tailor each student’s development of key audiometry skills. No prior qualifications are required to register into the course, however a considerable amount of material is presented, and students who haven’t studied for some years may wish to review study skills and practices. Students are posted a Course Manual and pre-course assignment about 2-3 weeks prior to the course. The aim of the assignment is to familiarise students with the key course material and to gain marks; the mark from the assignment is added to the marks achieved from the final day exam. Students will be assessed on the final day of the course with both a Written and Practical Exam. The Written Exam draws on material from the student manual (posted with the assignment 2-3 weeks before the course). The Practical Exam requires students to independently and accurately conduct a complete hearing test according to specific WorkCover WA protocols. Results will be announced on the final day. Students who pass the course will receive a Graduation Certificate from The Hearing Company. This certificate allows graduates to apply to WorkCover WA to become an Approved Audiometric Officer (AAO). While the pass rate on this course is high (over 95%), students who fail either part of the exam will be offered a supplementary assessment, usually on the Friday afternoon of the course. Supplementary assessments undertaken at a later date attract an extra fee, as will any extra tuition or supervision provided by The Hearing Company after the course has finished. The Hearing Company will notify WorkCover of the names of all graduates which will complete the registration process to become an Approved Audiometric Officer. 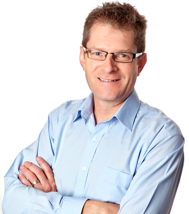 The principal Course Convenor is Glenn Johnson, an Occupational Audiologist (hearing specialist) with many years’ experience in clinical practice, teaching, consulting and hearing rehabilitation. Glenn is assisted by several highly capable, experienced and enthusiastic staff including teachers and Skills Coaches who assist with one-on-one supervision. In addition to graduating from the Audiometric Officer Course, to become an Approved Audiometric Officer (AAO) students must also complete an application process with WorkCover WA. To register with WorkCover WA, complete the registration process via an online portal on the WorkCover WA website either before or after attending the Audiometric Officer Course. This process involves entering personal details, undertaking online training and completing a short assessment. We supply all practice equipment including audiometers, otoscopes and consumables. No, the qualification is Western Australian-specific. The WA government has very stringent and specific requirements for conducting workplace audiometry and lodging test results, unlike the requirements in other states. Our 4-day Occupational Audiometry Course provides full compliance with testing requirements outside WA. Why is the course conducted over 5 days? Our focus is on ensuring students complete the course with confidence in their new skills and knowledge, and this takes time. We provide multiple one-on-one practice sessions, each building on the previous, until students are capable of independently and accurately completing a full assessment. The WorkCover WA requirements are quite rigorous, and we need to time to both teach the material and allow time to discuss how to integrate into everyday practice in the workplace. We acknowledge that people learn at different paces (some much faster than others) and in any group this is a challenge for the teachers. We’ve found that running the course over 5 days allows the majority of students to pass, without being too stressful for less confident learners. No, passing the course is not guaranteed although the pass rate is high (95%). Students must pass a written and practical assessments on the final day of the course to obtain a Graduation Certificate. 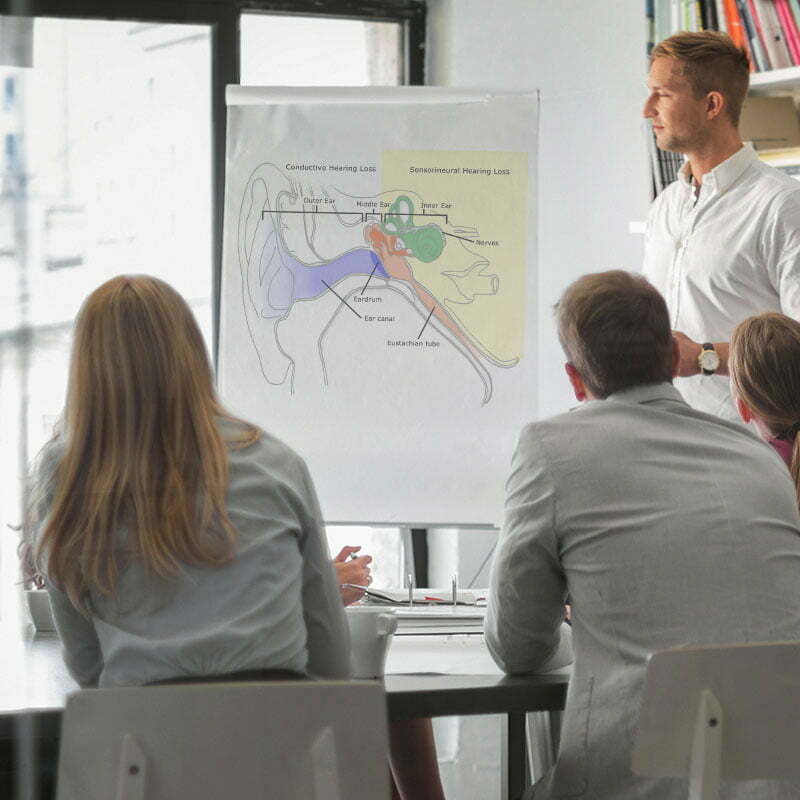 To pass the practical assessment students are required to demonstrate “competence” in the key aspects of a conducting a WorkCover WA-specific hearing assessment. The closed-book written assessment is completed during class time. Results are issued on the final afternoon. Passing the course usually requires some application, effort and study although most people do pass. We draw on over 15 years of experience (and enthusiasm!) with teaching over 1,200 students to design methods and materials to support the majority of students to learn what’s required over 5 days. Yes, the Audiometric Officer Course provides up to 26 hours of contact and tuition, which can be claimed towards CPD requirements. Public courses are usually conducted at a venue in Floreat (Perth). We also conduct in-company courses for organisations with multiple employees to be trained. This can work out as a cost-effective and efficient way to upskill a team. Our equipment and teaching personnel are completely portable. Another course that may be of interest to practices and businesses in WA is the 1-day Audiometry Basics Workshop. Note: the Audiometry Basics Workshop will not provide sufficient training to prepare students for an application to obtain the qualification of Approved Audiometric Officer (AAO) with WorkCover WA.